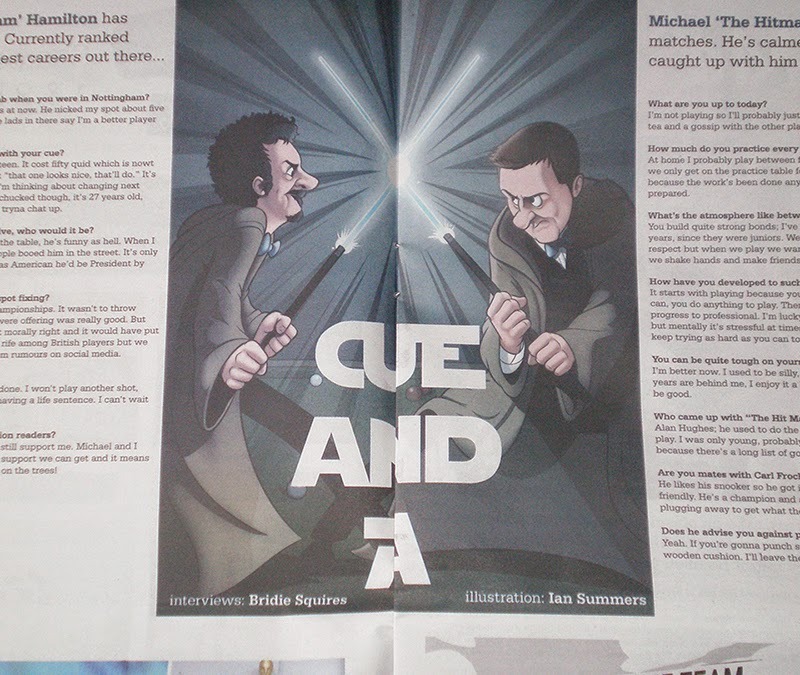 I was asked by the lovely people at Left Lion to illustration two snooker players fighting with lightsaber cues. 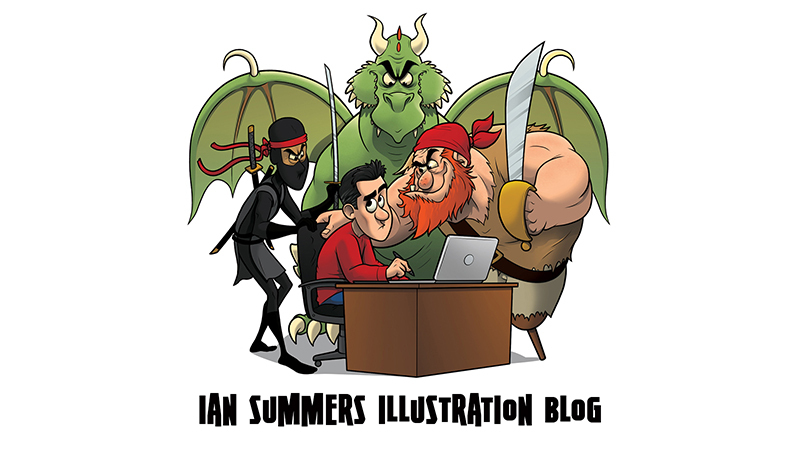 The piece accompanies two local players who's likenesses I've tried to capture. 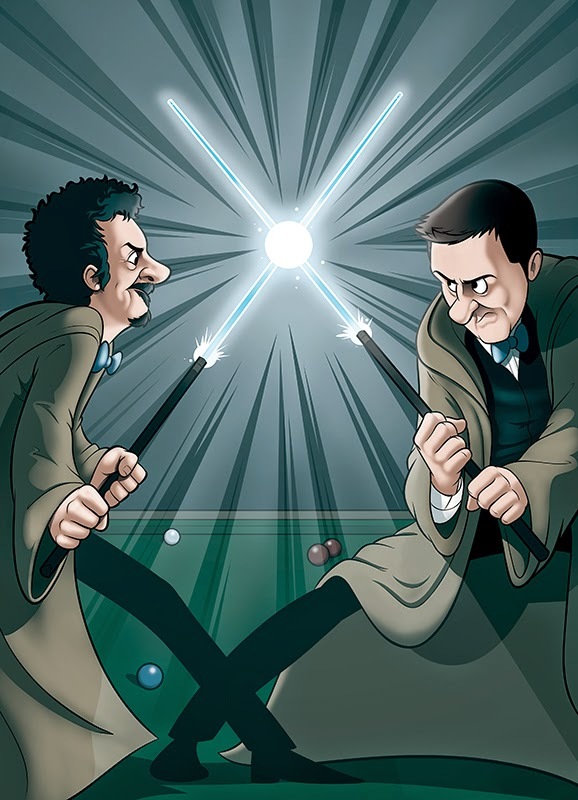 Lightsabers and cues are not two words I thought I'd utter in the same sentence.